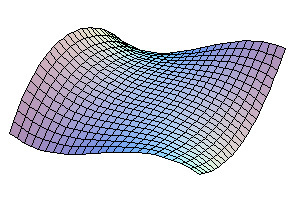 This Mathematica package implements multidimensional interpolation and curve fitting functions which can handle scattered input data. Adding this package to your Mathematica you are no longer constrained to "regular grid" input data, which is the only data that can be handled by the standard Mathematica Interpolation function. More information on the capability of the package is present in the example notebook. The product can be ordered by filling in the order form (click button below). Request your free trial version of the JanVerspechtMultiDim Mathematica by registering below. The trial version is fully functional and runs for a minimum of 31 days. It will be send to you by email as soon as possible after your registration has been submitted. Request your free trial version of JanVerspechtMultiDim by registering here.